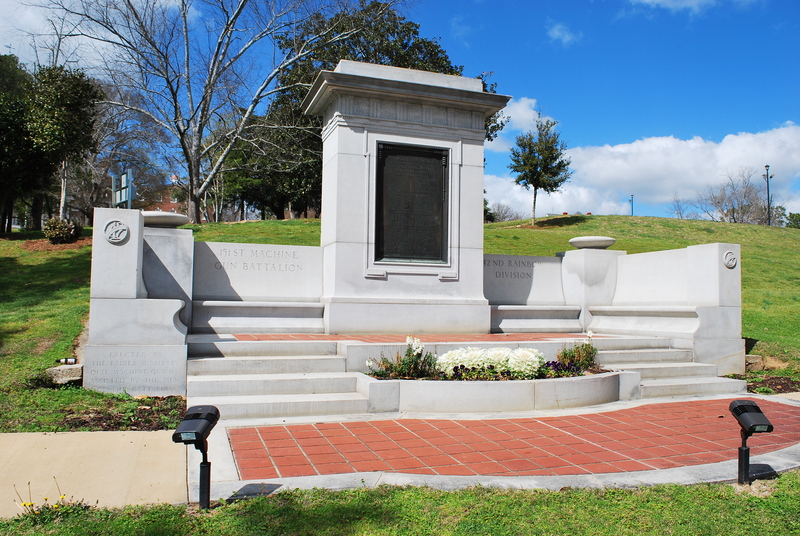 The memorial is inscribed with names from World War 1 from Jones County, Monroe County, Crawford County, Peach County, Twiggs County, Houston County, and Bibb County. 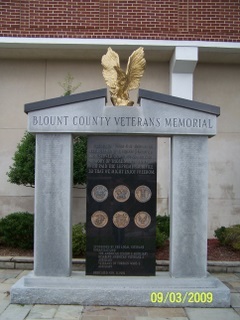 Inscription - "In honor of the men and women of the armed forces of the United States who served in World War I, World War II, Korea, and Vietnam. 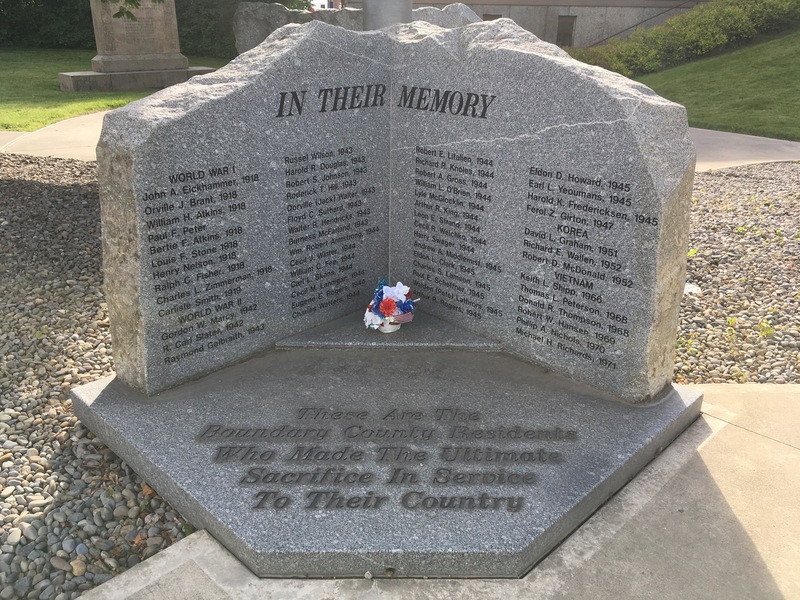 The names of those who gave their lives and those who remain missing are inscribed heron." 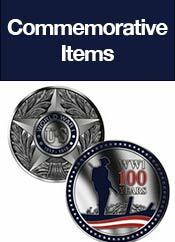 On the four bridge abutments are metal plaques honoring four branches of the military who participated in WWI. At the southeast are three infantrymen charging ahead, one down and one throwing a grenade. At the northwest, there are four biplanes amidst clouds. At the northeast are five artillery soldiers firing a cannon. At the southwest are two warships with smoke billowing from their stacks. 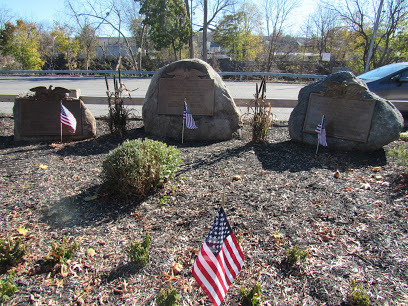 These plaques were placed here in 1925 by the city as a tribute to Broome County citizens who served in WWI and in all other Amer­ican wars. 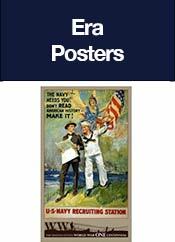 “In Honor of All American Veterans Who Served During Wars in Defense of Their County 1917 - 2003"
between 1915 and 1916 as The World War ragged across the Atlantic in Europe. 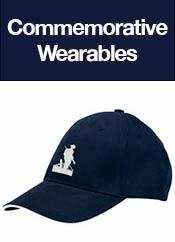 during our War for Independence. 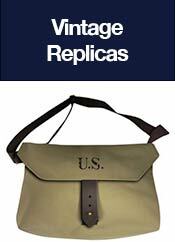 in 1988 due to its architecture and importance in local history. perfectly clear. If the opportunity presents itself, I will retake these pictures. 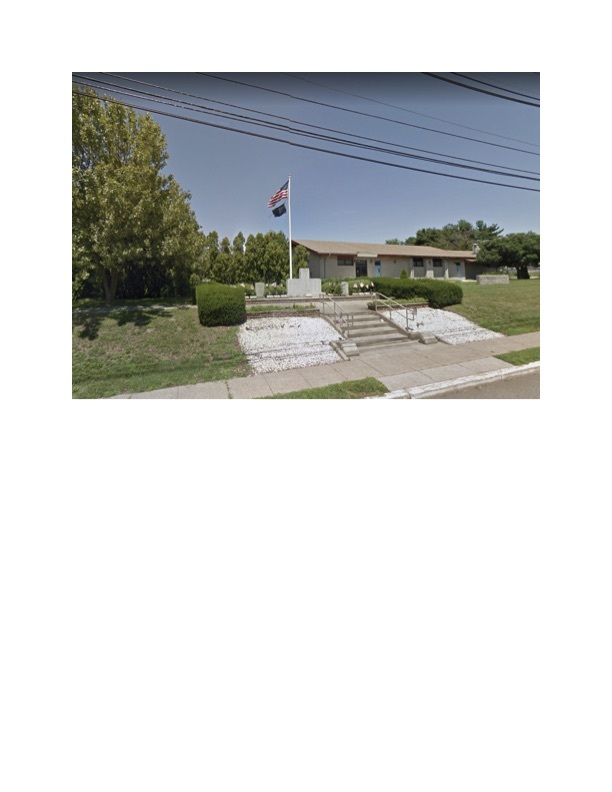 There are two memorials for the Black Tom explosion - one at Liberty State Park in NY Harbor; the other, a stained glass window at Our Lady of Czestochowa Church in Jersey City. Black Tom was an island in New York Harbor, next to Liberty Island, that received its name from an early African American resident. By 1880, a railroad connected it to Jersey City & it began its use as a shipping depot. By 1916, its mile-long pier housed a depot and warehouses for the National Dock & Storage Company. In 1914 Imperial Germany sent Count Johann von Bernstorff to be its new ambassador in Washington D.C. But von Bernstorff's staff of diplomats were not all as they seemed for these bureaucrats were a veritable army of undercover spies and saboteurs, arriving with millions of dollars to aid the German war effort by sabotage and illicit destruction. Among their principal targets were the endless supplies of munitions that the neutral US was selling to Great Britain and France. In 1916, over 2,000,000 tons of explosives were in storage on Black Tom, ready to sail across the Atlantic. The island soon caught the attentions of von Bernstorff and his saboteurs. On the night of July 30, 1916, Black Tom island disappeared. Just after 2 am, slow burning pencil bombs planted by the German agents ignited an explosion so colossal it registered 5.5 on the Richter scale. As glass windows shattered in Times Square and St.Patrick's Cathedral, the blast shook the Brooklyn Bridge and was felt as far away as Philadelphia and Maryland. 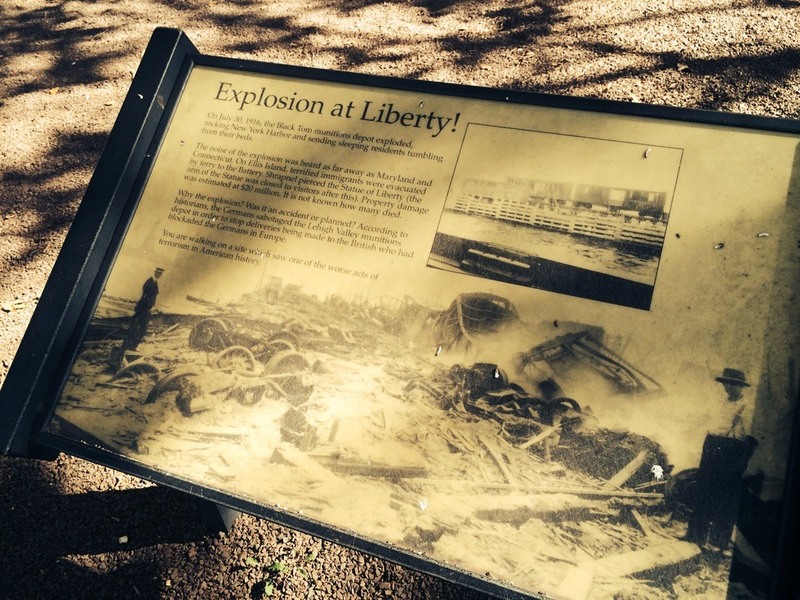 The Statue of Liberty felt the full blast and was showered with shrapnel, exploding bullets and shells. Federal investigations named two guards at Black Tom as the likely culprits; the guards turned out to be German agents Kurt Jahnke and Lothar Witzke, but both escaped. 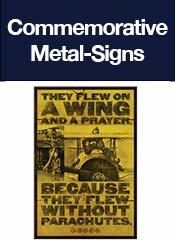 An explosion in 1917 at the Mare Island naval shipyard in Vallejo, CA was also attributed to them. When the US finally responded to German's secret war of attrition by declaring war in 1917, Jahnke and Witzke fled to Mexico. Black Tom Island was reconstructed with landfill and is today the southeastern part of Jersey City's Liberty State Park. Today the park is a popular recreation area, with families taking advantage of the close up views of the Statue of Liberty. 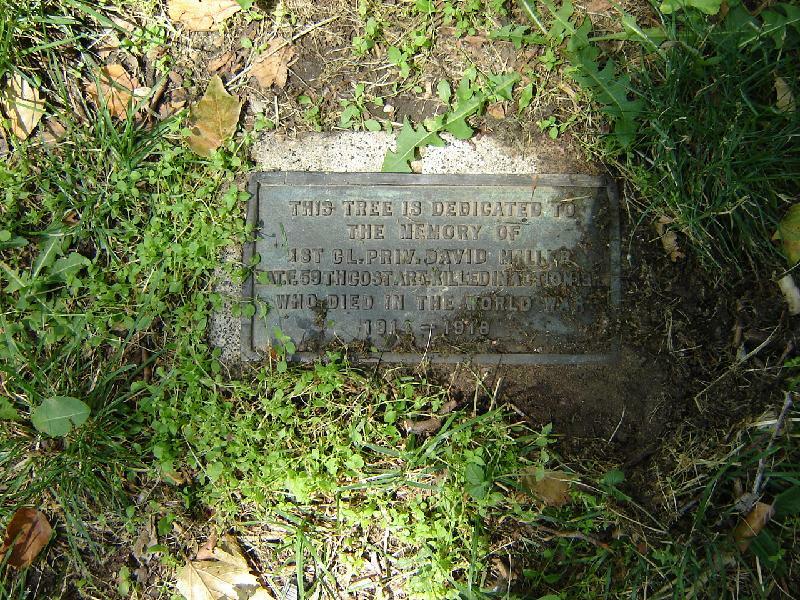 But in the corner of the picnic area is a simple plaque, often passed by, which reads, "You are walking on a site which saw one of the worst acts of terrorism in American history." It is not known exactly how many people died or were injured in the explosion. Possibly, the congregation of Our Lady of Czestochowa were hit hard, which led to the commemorating of the attack with their stained glass window memorial. The Lehigh Valley Railroad who owned Black Tom Island sought compensation against Germany, who settled on a payment of $50 million which was finally paid as recently as 1979. The attack may be long forgotten and little known, but it has an ongoing repercussion. Structural damage caused by the explosion is the reason today's visitors to the Statue of Liberty are prohibited from going up into the torch. It has been closed to the public since that fiery evening. Narrative adapted from Atlas Obscura website. 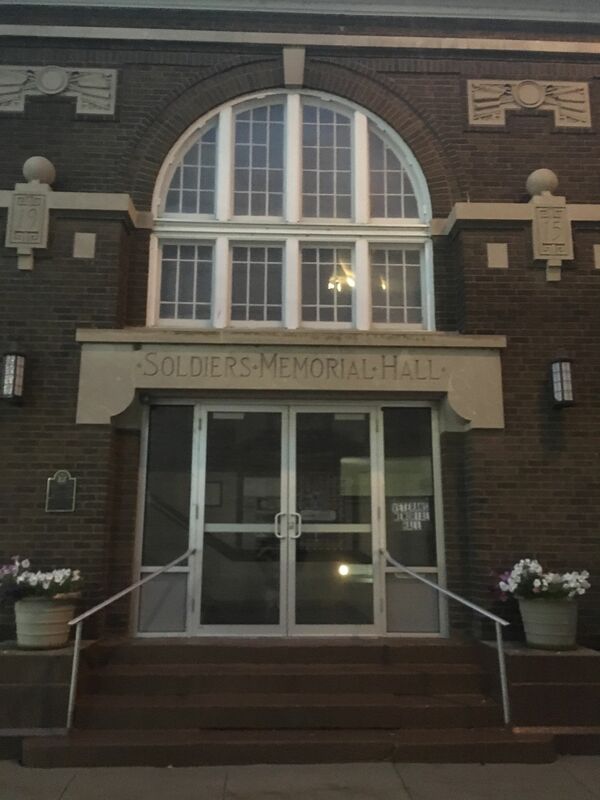 Description : This monument includes the Blackford County World War I Honor Roll as well as one of sculptor E. M. Viquesney's "Spirit of the American Doughboy" sculptures. 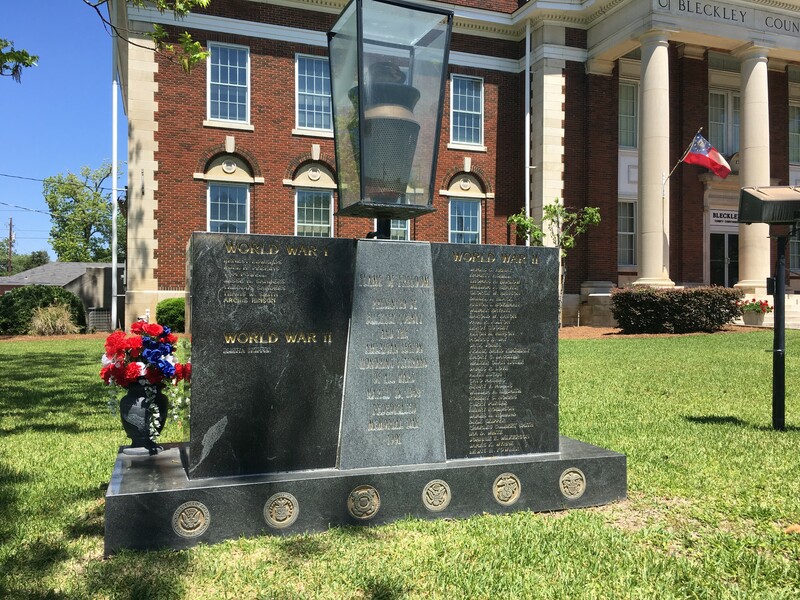 Flame of Freedom Monument on courthouse grounds. 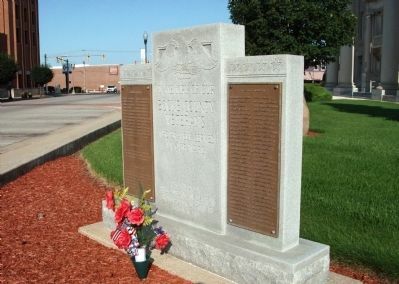 Inscription: “ Presented By Bleckley County and the American Legion Honoring Veterans of All Wars, March 15, 1969, Rededicated Memorial Day 1991”. 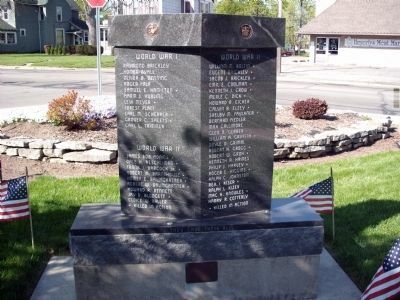 The WW1 portion of this monument contains the names of 7 service members. 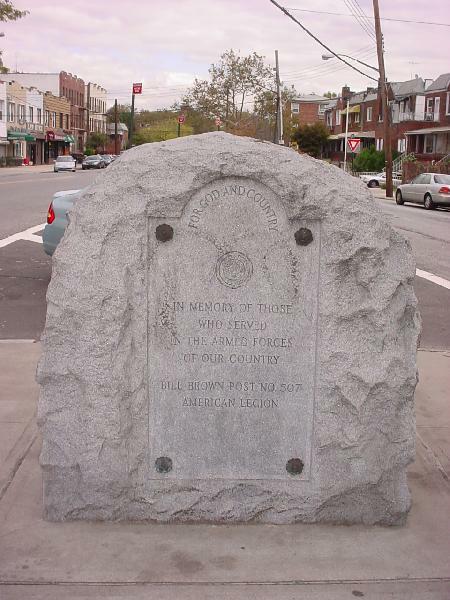 "This Tablet is Erected in Honor of the Men and Women of the Town of Blooming Grove who Served Their Country in the World War and in Memory of Those Who Gave Their Lives 1917-1919"
Description : Erected by the American Legion & Auxiliary, Disabled American Veterans & Auxiliary, and the Veterans of Foreign Wars & Auxiliary. Address : 4966 Lake Shore Rd. This bronze WWI doughboy is depicted as running with a rifle in his left hand, with his right hand raised. Beneath is a square base of granite blocks. 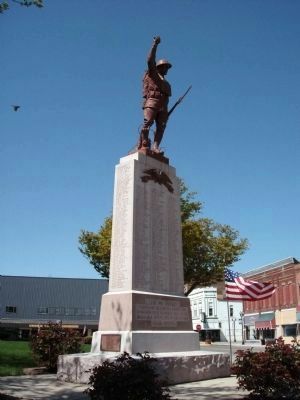 It was sculpted by John Paulding and dedicated on July 4, 1921, honoring the three men of Bolton who died in service in WWI, and the total of 70 who served. 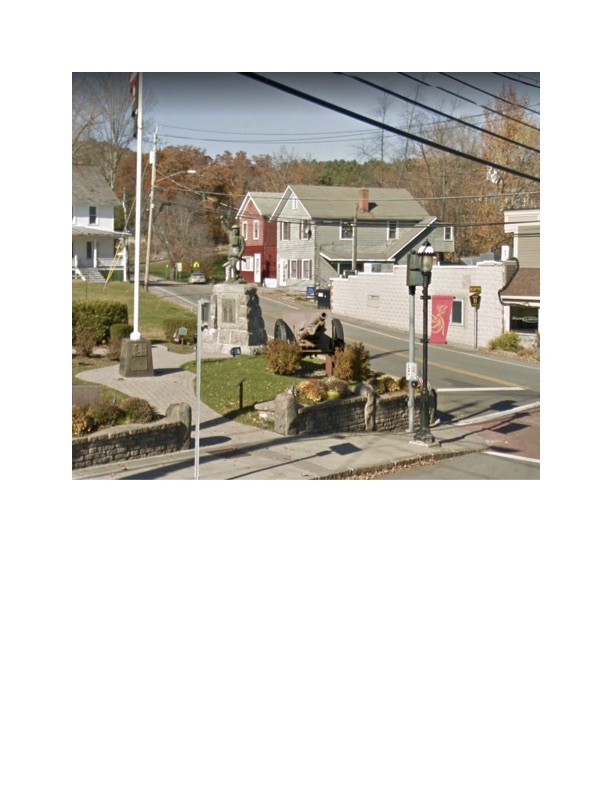 Here there are two monuments to the local veterans. 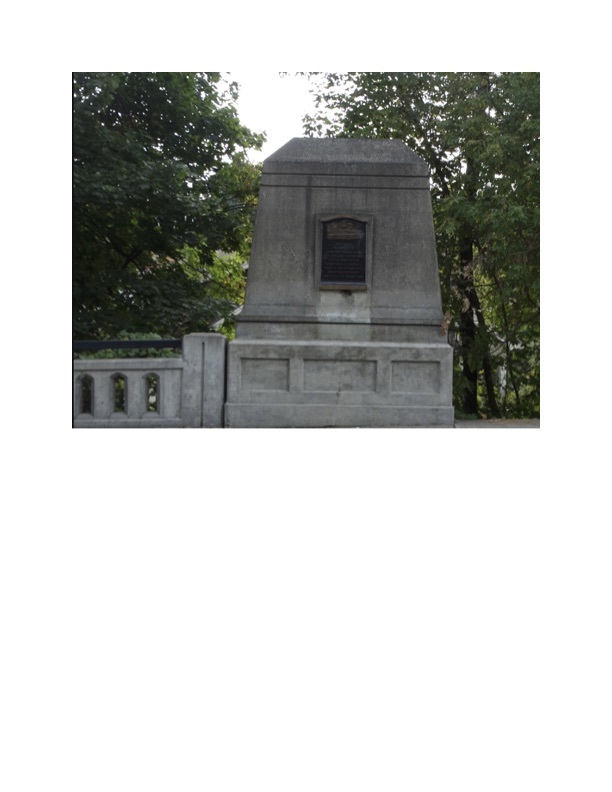 The WWI Monument consists of a tall white stele flanked by two wings, all en­graved with approximately 200 names of veterans. 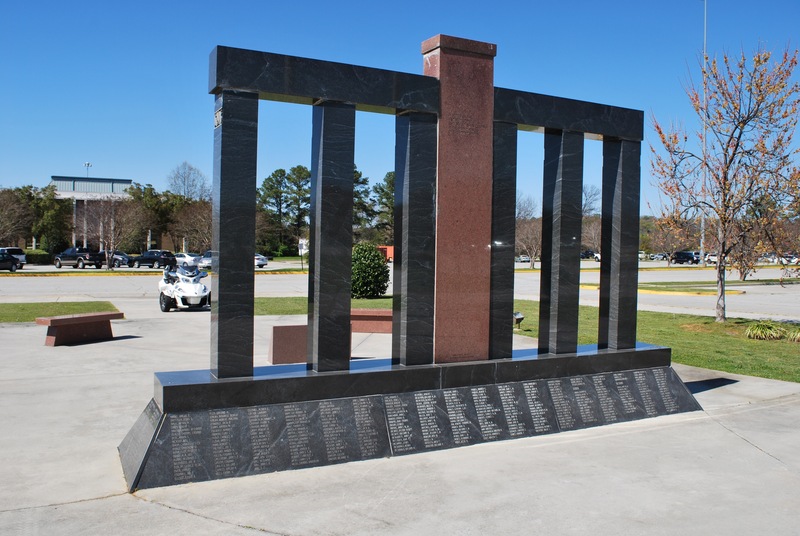 The Vietnam War Monument is a small upright slab, listing eight local citizens who served in the war. Address : 100 N Main St. 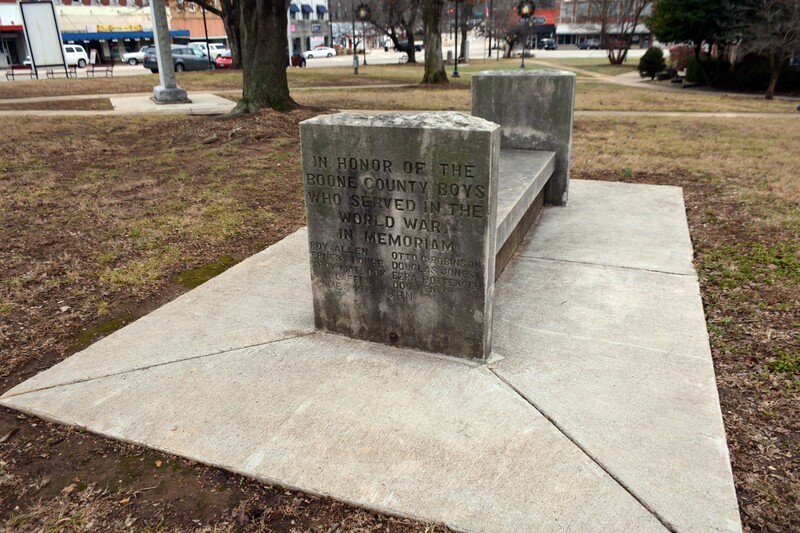 Description : Courthouse for Boone County, Arkansas. 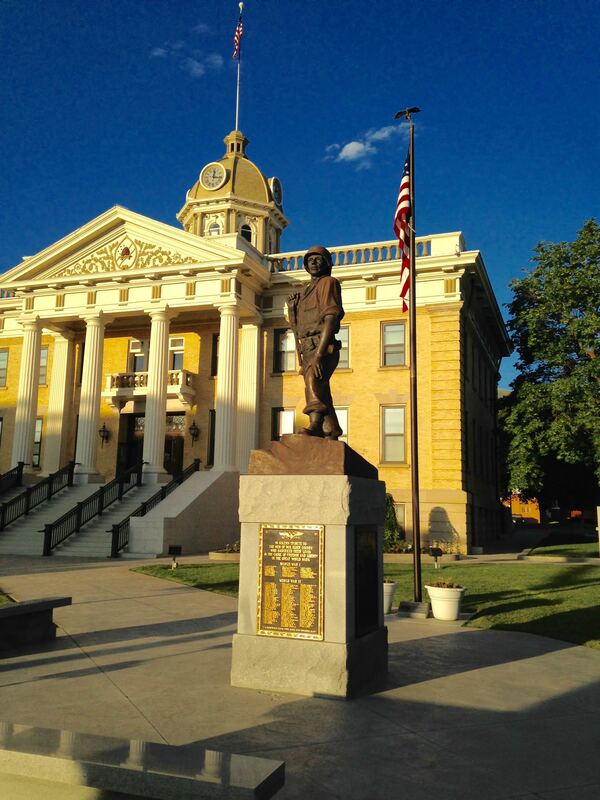 This memorial park contains three monuments honoring the veterans and fallen servicemembers of Boundary County and one honoring the explorers who established the "first route of travel and trade across what is now the state of Idaho." 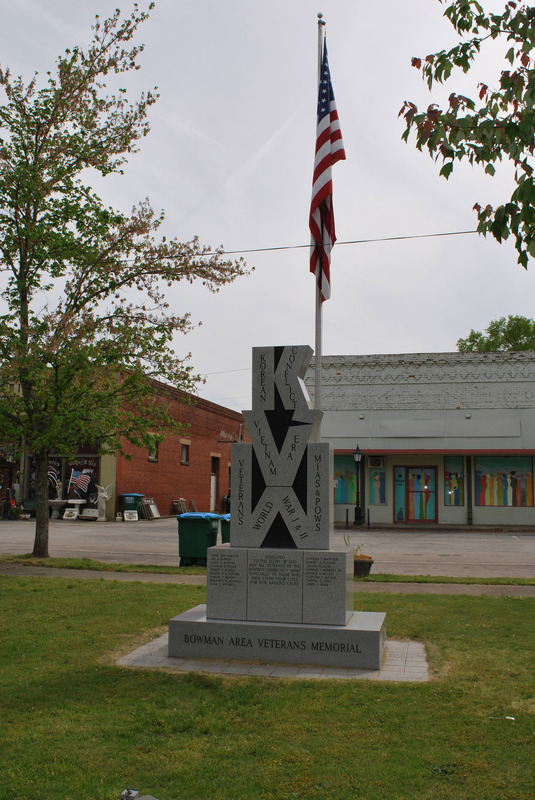 The monuments honor veterans of all wars, including WW1. 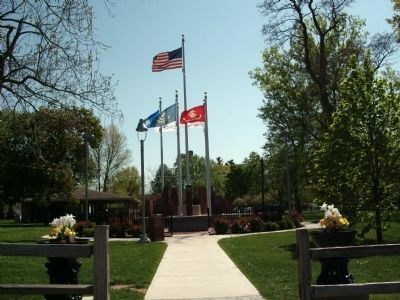 The park is located near the library, with its 100-foot flagpole making it hard to miss. 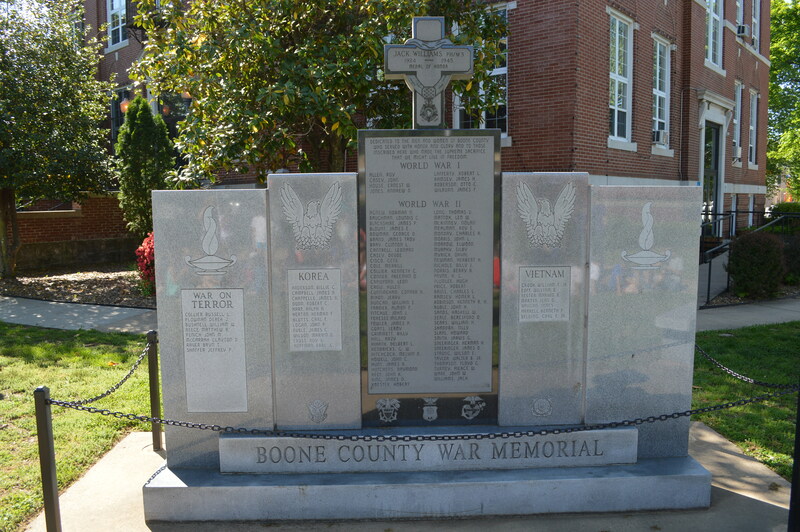 Description : "Dedicated to the glory of God and all veterans of the Bowman community, more especially to these who have given their lives for our nation's cause." 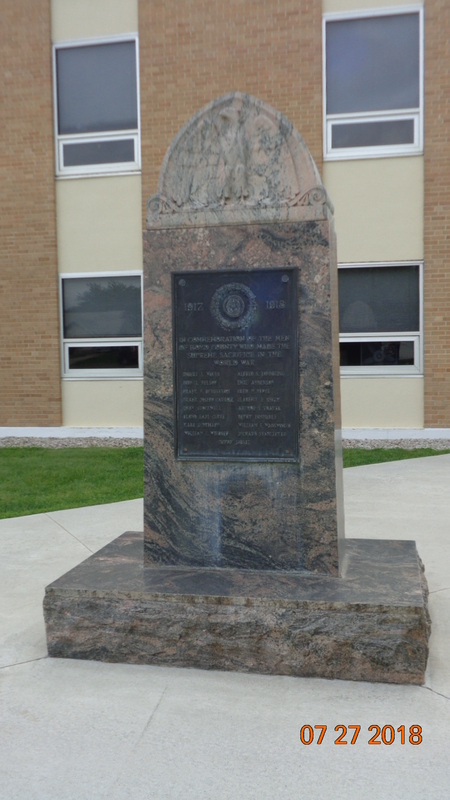 This memorial is dedicated to the servicemembers of Box Elder County "who sacrificed their lives in the cause of freedom and liberty in the great World Wars." 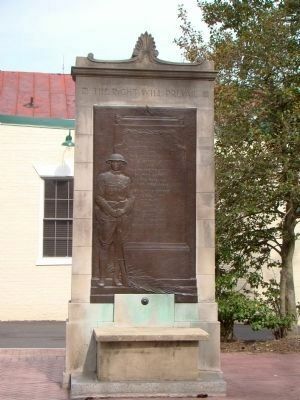 The base of the soldier statue features three bronze plaques: one listing the names of the fallen in both World Wars, one listing the fallen from the conflicts since WW2, and one reading: Freedom Is Not Free: In Solemn Recognition Of The Sacrifices And Leadership Of The Men And Women Of Box Elder County Who Gave Their Lives To Preserve A Free Society, Built The Peace And Gave To Future Generations The Precious Gift Of Freedom.